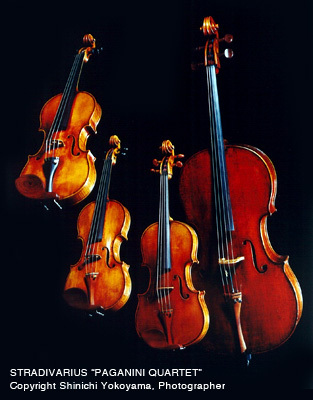 Thanks to the Nippon Music Foundation, the Tokyo String Quartet performs on "The Paganini Quartet," a group of renowned Stradivarius instruments named for legendary virtuoso Niccolò Paganini, who acquired and played them during the 19th century. On loan since 1995, the Tokyo String Quartet has had the great pleasure of recording with these special instruments. Their Mozart disc on the Biddulph label and their new Beethoven disc on Harmonia Mundi marks the first time in 30 years that all 4 instruments have been featured together on recordings.